One of the benefits of being a member of The Poetry Lab is access to the experience and knowledge of the other members in the group. Every week we bring in books that we are reading and discuss new, exciting poets we've encountered. One of the ways we organize our approach to the study of poetry is by helping each other build reading lists. Here are a few tips to help you begin to make your own. A classic book is one that is considered essential reading and first published more than 20 years ago. It doesn't necessarily have to be part of the traditional or academic canon (because those lists often under-represent groups such as women, the LBGTQ community, and people of color. The canon is seriously faulty). So, start your own canon. Decide who it is essential that YOU read. If you need help figuring out who that might be then look to your favorite authors. See who they deem admirable and go from there. For example, one of our member's favorite poets is Sharon Olds. Sharon Olds was influenced by Muriel Rukeyser, about whom Adrienne Rich said "Rukeyser was one of the great integrators, seeing the fragmentary world of modernity not as irretrievably broken, but in need of societal and emotional repair." Reading Rukeyser might lead you to Adrienne Rich, and Rich to Audre Lorde and Lorde to James Baldwin and so on. A contemporary book is one that has been published recently, within the past 10-15 years. This is a book widely read, or considered admirable not by historians but by working writers in the field today. To build this section of your reading list look to review publications like The Los Angeles Review of Books and see what is making waves these days. If you're building a poetry list, check out the authors in the three photos above. 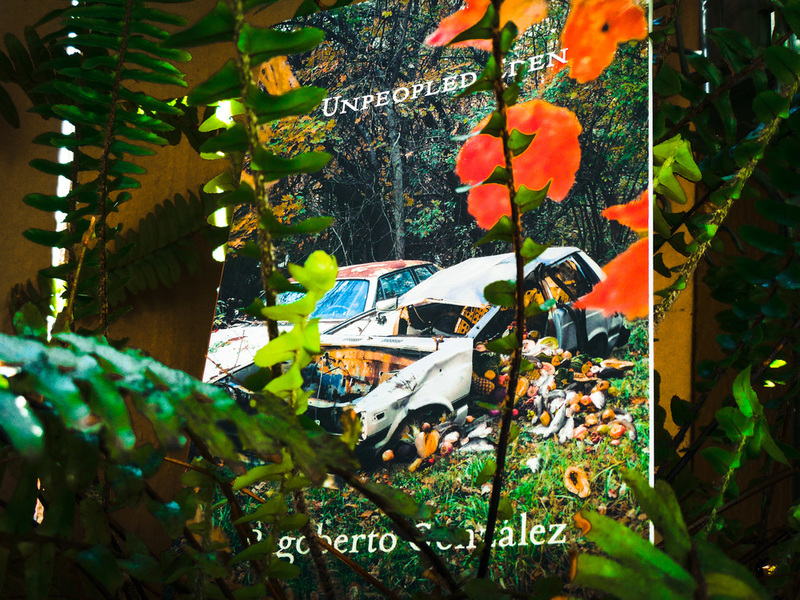 Rigoberto Gonzalez is the author of four books of poetry, the photo is of his most recent book Unpeopled Eden. Gonzalez is friends with Eduardo C. Corral (we know this because we follow them both through Social Media!) who won the Yale Younger Poets Prize for Slow Lightning in 2011. Corral works with the Cave Canem Writer's Workshop, which has reared poets such as Tracy K. Smith, Jamaal May, and John Murillo. Other books shown above: Keys to the Jail by Keetje Kuipers and Leadbelly by Tyehimba Jess. Both highly recommended! A critical book is one that explores elements of writing and poetics that will help you better understand and work within your craft. This can be a collection of essays, or a book by one author exploring their writing life in a memoiristic style. There are several outcomes to building your reading list. -------> If you start reading these books you might feel an overwhelming sense of excitement about your writing, about the writing of others. You might feel the need to share that excitement with people. Other people who will understand and be excited with you: TA DA! Come see us at The Poetry Lab! ------->If you start to build this list, but the suggestions I made here don't suit you and you're having a hard time figuring out where to start, we can help: TA DA! Come see us at The Poetry Lab! ------->If you've started reading and building, finding more books to read and channeling your excitement into productive writing time, then I have news for you. There is MORE down this rabbit hole. There are actually FIVE categories of books that our members use to build their lists! So come in and see us and we'll share what we know. Because as I said, access to the experience and knowledge of the other members in the group is one of the benefits of The Poetry Lab. TA DA!